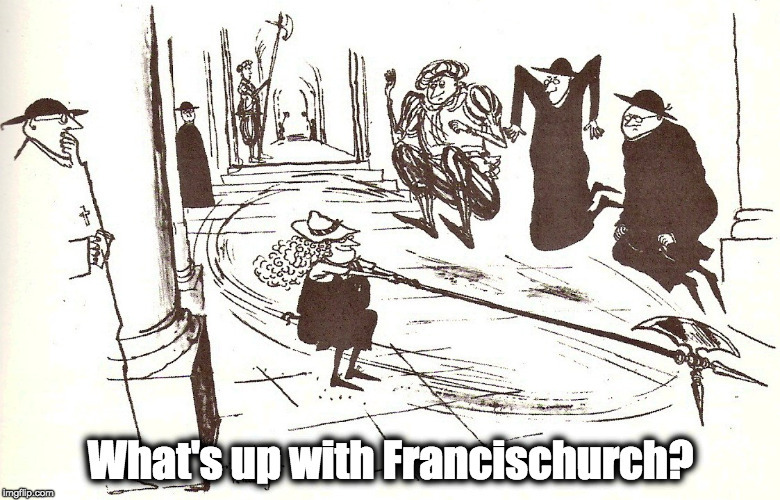 You can’t kill something whose nature it is to live – What's Up With Francis-Church? I think we have misunderstood the promise of Christ of the survival of the Church. You can’t kill something whose nature it is to live. The Faith is like life itself; life is designed to live. It might not make it in this or that particular place, and it may go through periods of such reduction that we would hardly recognise it, but it can’t be killed. Volcanoes make ash that enrich the soil; ice ages spread spores and seeds around the world. Life lives. The Faith is something even stronger. We hear often the dodge, “Oh, we’d love to do Gregorian Chant or Polyphony, but we just don’t have the resources.” But think for a moment about the resources, effort, the money, the hours of practice, hiring “music ministers,” to create this. 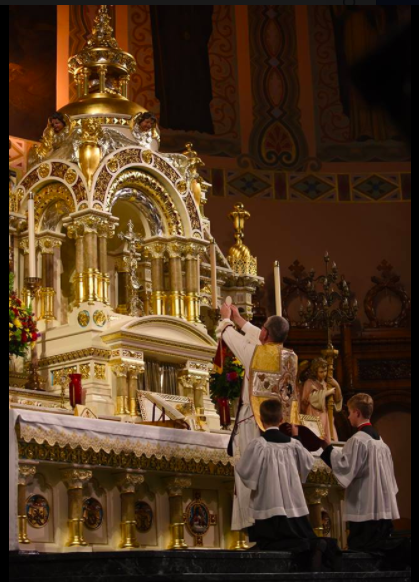 Its a rule: bad theology always = hatred of traditional liturgy. No excuse on Gregorian Chant. A good CD will do quite nicely. By the way we have Friday adoration at our Church for 5 hours on Friday. Someone put on a Gregorian Chant CD. When the Rector of our Cathedral parish heard it he immediately turned it off. He was trained in Karl Rahner theology (heresy), favors women priests, and believes the miracle of the loaves and fishes was a miracle of mutual sharing. Or shake the dust from your sandals and go to a parish where they are open to Tradition. One of good things of the revised Code o Canon Law of 1983 is that we’re no longer required to only go to the parish that is geographically near to us. If a more orthodox parish exists in the next town over, drive the extra 15 minutes and go there. I went to YouTube to watch….comments were disabled – imagine that. St. Stan’s was my first parish. I was an altar boy during the destruction of the liturgy in late 1960’s and early 70’s. The Resurrectionists… or rather the pastor was an innovator unfortunately. He had the coffee table up in the main church already in 1967. 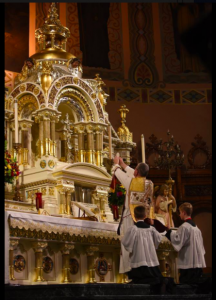 The most vivid memories of those years were the older priests who would “celebrate” the mass after the transition 69/70 and then later go and offer the proper Mass at one of the side altars. A very sad sight. I feel sorry for the young fellow playing the cello. How out of context can you be? And he’s even wearing a tie!